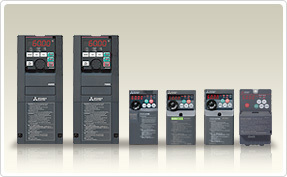 The Mitsubishi E700 VFD has ‘Big Drive’ Vector Control Capability in a micro drive – delivering outstanding performance for a wide range of demanding loads. 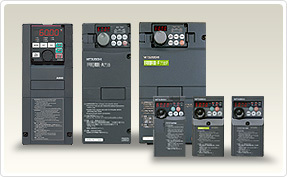 The Mitsubishi D700 VFD is a low cost micro inverter withy Mitsubishi Electric performance and quality. The digital setting dial with integrated display makes configuration fast and easy.